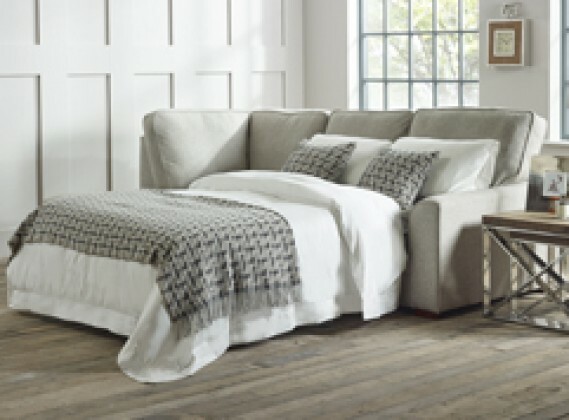 Make sure you check that your new sofa can fit in your home. 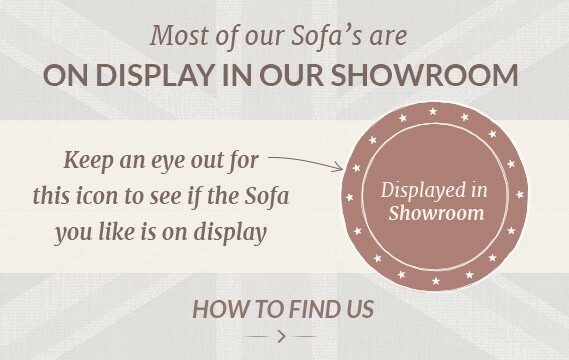 Take a look at our Sofa Fitting Guide for more info and tips. 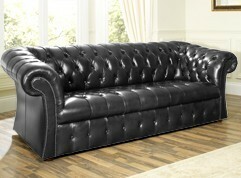 The Arlington studded leather sofa is a distinctive model in our range here at the English Sofa Company. 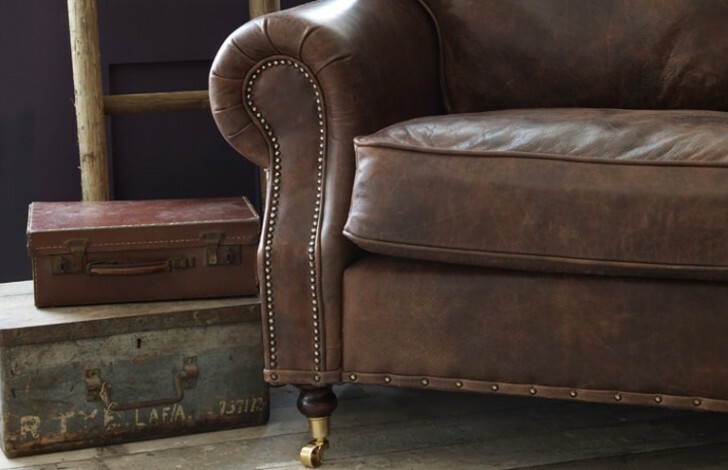 The Arlington Studded Leather Sofa chair is a compact design showcasing traditional craftsmanship with modern fabrics. 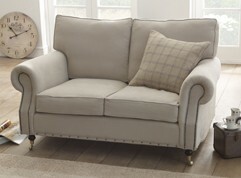 Feather top cushions and castor feet complete this look. This studded leather sofa features deep cushions and scroll arms. 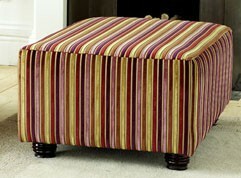 Why not complete the look of this lovely sofa with your choice of fabric. 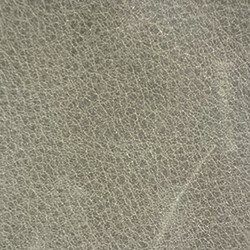 Choose from over 50 different fabrics we have in stock, or why not choose your own custom material, making this studded sofa truly unique to you. If you would like to ring our sales team to discuss any of the customisation options we have available, you can do so on 0161 736 5733. Our sales team are available 7 days to discuss your needs. 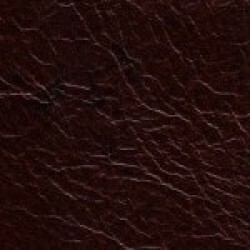 The quality is fantastic, it is well made and the leather is stunning, we have had many compliments and value for money is fantastic. Do not go anywhere else if you want a leather sofa. Your new sofa will take around six weeks to produce. After production it can take a few days for your items to be collected by the carriers and we ask for our customers patience during this time. Please note our carriers operate on an up to 10 working day delivery service from the date of collection and will contact you approximately 3 days before delivery to book in. Our two man team will deliver to the room of your choice, unwrap the goods and ask you to inspect the goods before signing the delivery note. Our usual deliveries are completed Monday-Friday and all deliveries are completed subject to access. 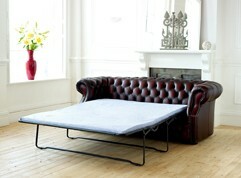 Unless bolt on arms are specified our sofas are delivered fully assembled. We therefore ask customers to carefully check for adequate access along the delivery route into your chosen room. Our sofas are built with a standard 75cm door width in mind, please contact the sales team if your access route is less than 75cm to discuss your options. 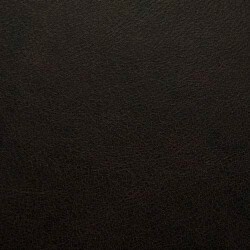 Our Dune collection is a durable, hard-wearing corrected grain leather with a natural look. Due to the natural element of the product, batch variation may occur, so we suggest you order some samples on our website or with our sales team. 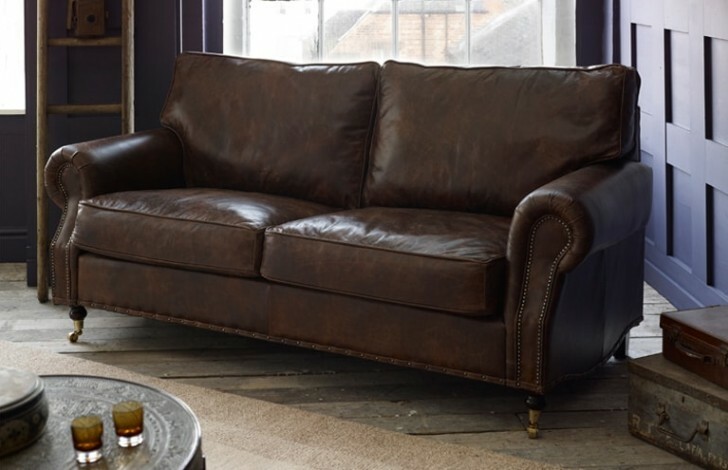 With the Santa Fe leather collection you are guarenteed a sofa with character. The leather has the natural marks and scars of the hide left in to create a truely unique piece of furniture for your home. 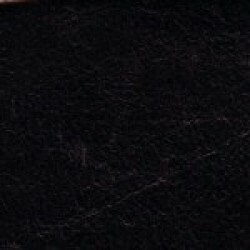 As the leather is a natural product there can be instances where the colour varies from batch to batch and therefore we recommend that you order a swatch of the leather from our sales team. 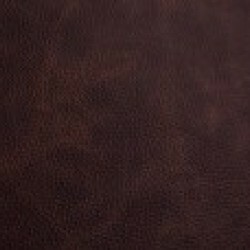 Our Vintage range of leathers are recognised by the highly distressed effect which give a beautiful lived in look to the leather. 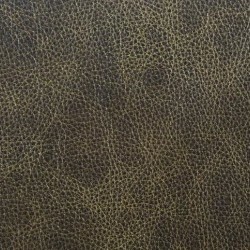 The oils and waxes give this leather a soft feel. 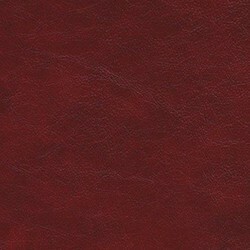 As with all of our leather batch variation can occur due to the leathers natural element. 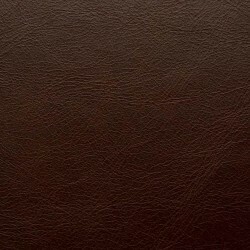 Therefore we suggest that you order a sample of the leather before going ahead with the order. 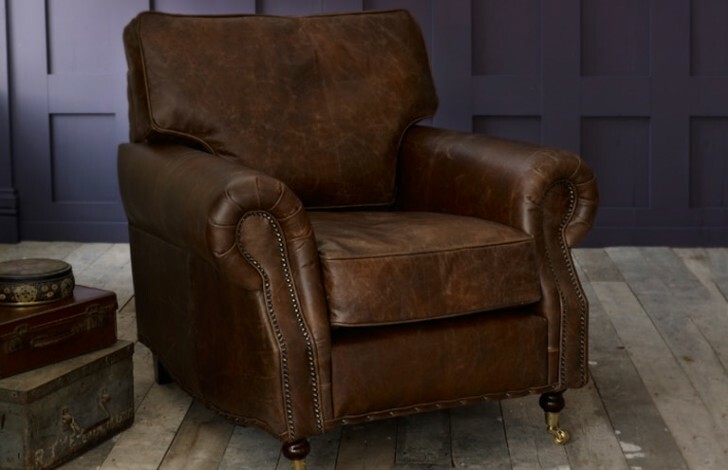 Our Apache leather is beautifully soft with a distressed multitonal effect. 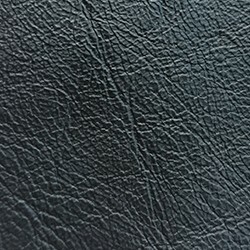 This matte leather has lots of character and provides an element of durability. 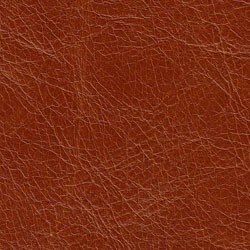 Please order a swatch of this leather as batch variation can occur due to the leather being a natural product. 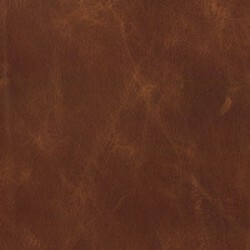 Vintage Tan is a new distressed leather which we have added to our Old Vintage Aniline range. 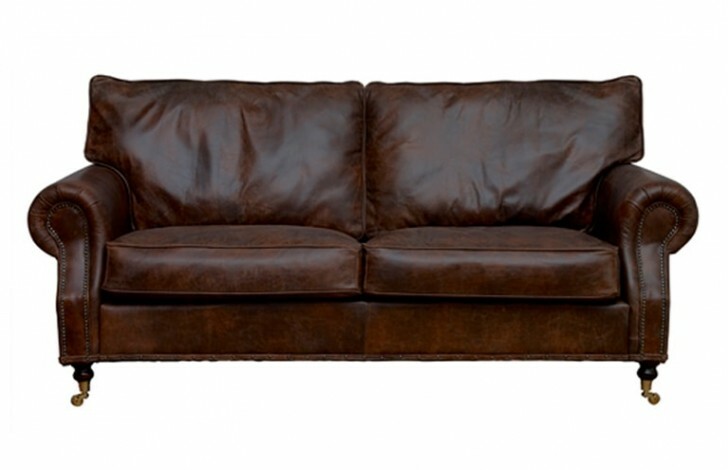 This leather has an aged effect which creates a rustic look which works well with Chesterfield style sofas. 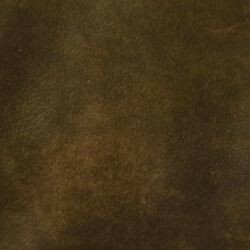 Our Apache leather is beautifully soft with a distressed multi-tonal effect. 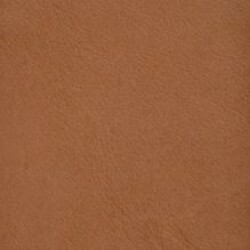 This matte leather has lots of character and provides an element of durability. 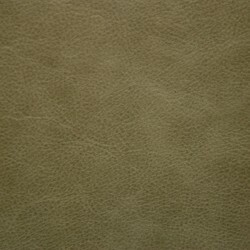 Please order a swatch of this leather as batch variation can occur due to the leather being a natural product. 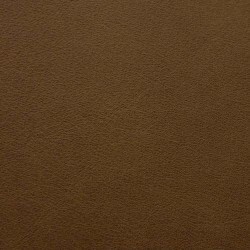 Our Winchester Leathers are Vintage style leathers, which have a natural, yet uniformed look in the grain. 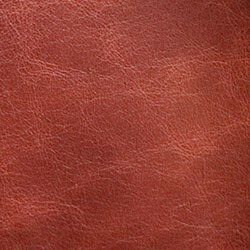 Please order a swatch of this leather as batch variation can occur due to the leather being a natural product. 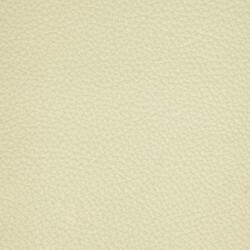 Our Selvaggio leather range is a collection of luxuriously soft, matte leathers. 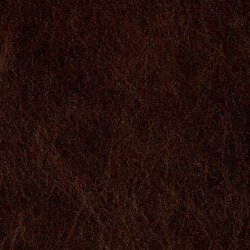 This soft leather will provide any sofa with lots of character and plenty of charm. 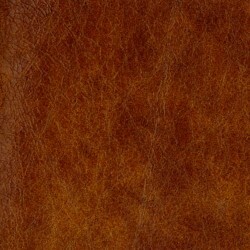 As the leather is a natural product there is a chance that some batch variation may occur. 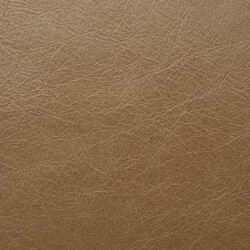 Therefore, we recommend that you order a swatch of our leather with our sales team before ordering your sofa. 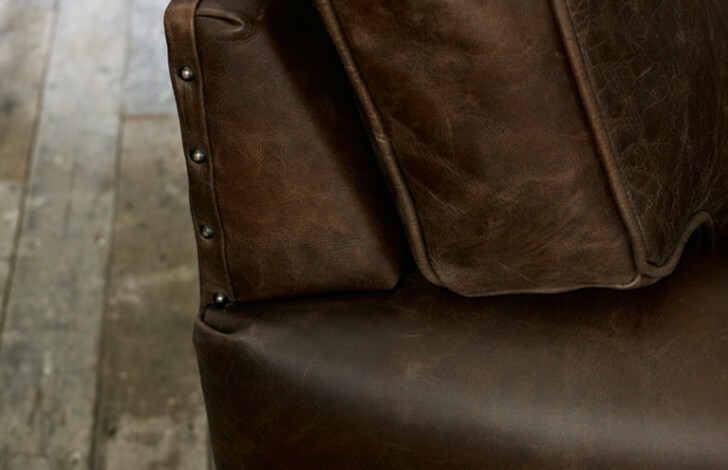 This range of Brooklyn leathers provide a high shine leather. 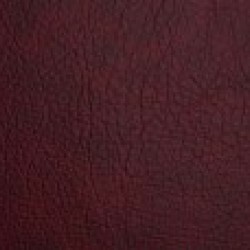 This luxuriously soft pull up aniline will move and shift with use bringing out natural tones and colours in the leather, adding character to the sofa. 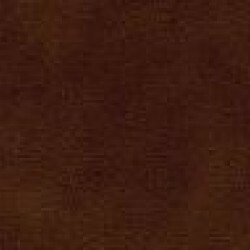 We recommend that you order a swatch of leather before ordering your sofa as batch variation can occur in natural products. 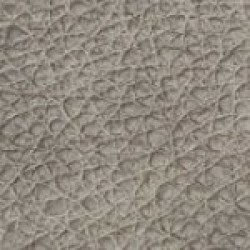 The range of Matera leathers provide a high shine leather. 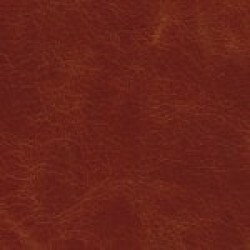 This luxuriously soft pull up aniline will move and shift with use bringing out natural tones and colours in the leather, adding character to the sofa. We recommend that you order a swatch of leather before ordering your sofa as batch variation can occur in natural products. 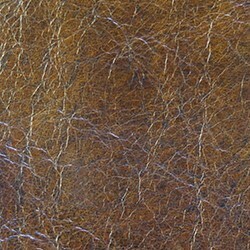 This soft and multi tonal leather has a beautiful distressed look to add character to your home. 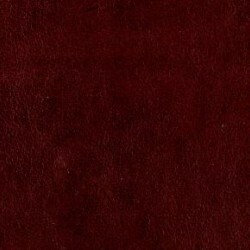 Please order a swatch of this material as batch variation can occur. Our Tribe Light leather range is a collection of luxuriously soft, matte leathers. 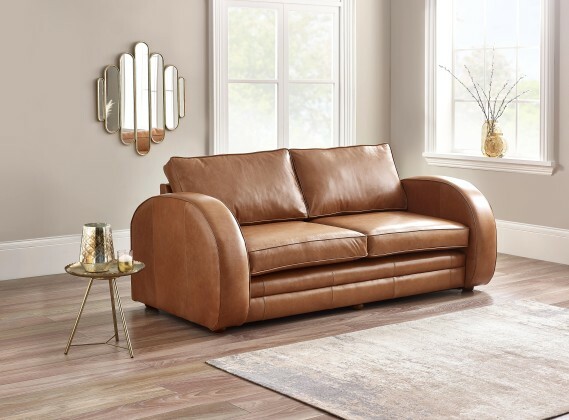 This soft leather will provide any sofa with lots of character and plenty of charm. 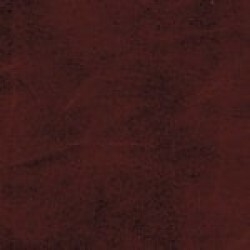 As the leather is a natural product there is a chance that some batch variation may occur. 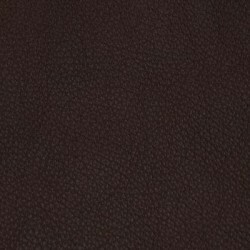 Therefore, we recommend that you order a swatch of our leather with our sales team before ordering your sofa. 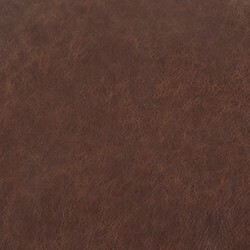 Old English leather is a high end leather with a beautiful soft feel and plenty of character. The natural grain and patterning gives high end, premium look which really enhances any sofa.